The fastest way to get to the centre of Amsterdam is by train. Schiphol train station is situated right under the Schiphol Plaza area. If you have a short layover at Schiphol it is easy to make a short trip to Amsterdam. 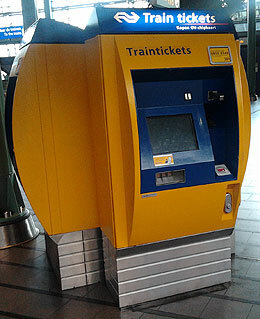 Buy a return ticket (valid only for same-day travel) at one of the vending machines at Schiphol Plaza and hop on one of the about 8 trains per hour to Amsterdam Central Station (Amsterdam CS). Your train will leave from platform 1 or 2. 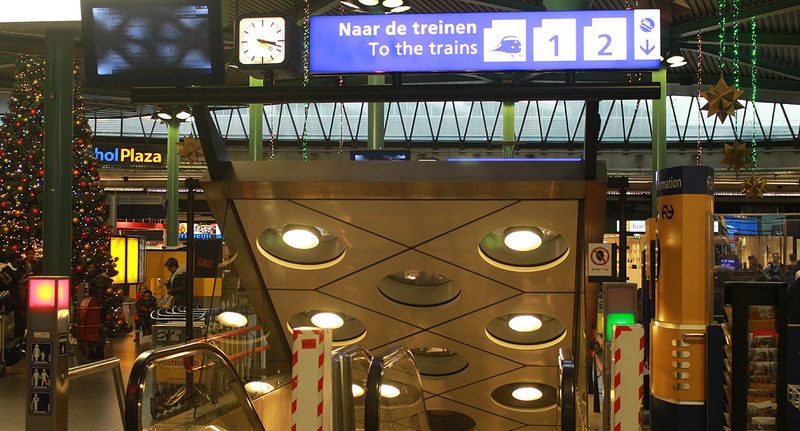 For your return trip to Schiphol your train leaves from platform 13 or 14. Intercity Direct to Schiphol leaves from platform 15. Check the actual departure times at Amsterdam CS (only available in Dutch). Traveling timer is a little less then 20 min. and the ticket price is € 8,40 for a return ticket. How to get to Antwerp and Brussels from Schiphol? 1.) By THALYS: travel time is 1h35min. 2.) By Intercity Brussels: travel time is 2h35min. You can also use a bus service to go to Brussels. Flixbus has stops at Schiphol Airport and in Amsterdam near Station Sloterdijk .